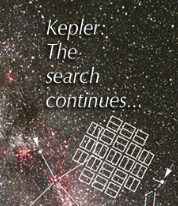 To read more about the search for life in the universe, visit https://www.nasa.gov/mission_pages/kepler/news/kepler20130717.html#.UebhlIXTovQ . If you think your students would be interested in searching for habitable planets, check out the NASA Explorer Schools featured lesson, Algeraic Equations: Transit Tracks—Finding Habitable Planets. 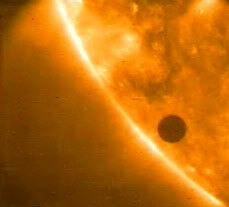 Students use algebra and Kepler’s 3rd Law to find habitable planets in other solar systems. To access this activity, visit the NES Virtual Campus. This article is a great extension for the NASA Explorer Schools lesson, Algebraic Equations: Transit Tracks—Finding Habitable Planets. Access this lesson after logging in to the NES Virtual Campus. 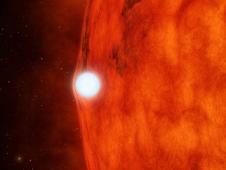 To read more about Fomalhaut’s exoplanet, visit https://www.nasa.gov/mission_pages/hubble/science/fomalhaut-exo.html. Hubble cannot look at the sun directly, so astronomers are planning to point the telescope at Earth’s moon, using it as a mirror to capture reflected sunlight and isolate the small fraction of the light that passes through Venus’s atmosphere. Imprinted on that small amount of light are the fingerprints of the planet’s atmospheric makeup. As the transit of Venus approaches, have your students use transit light curve data gathered by the Kepler mission to calculate the size of planets in other solar systems. To complete this lesson, students determine if these planets are in habitable zones. To gain access to Algebraic Equations: Transit Tracks—Finding Habitable Planets, visit the NES Virtual Campus. As part of a series of electronic professional development experiences for educators, the NASA Explorer Schools and Learning Environments and Research Network, or LE&RN, projects are hosting a 60-minute live professional development Web seminar for educators on March 8, 2012, at 8 p.m. EST. Discover how an algebra activity called “Finding Habitable Planets” will help you teach students to use their skills to analyze NASA data. Students learn about the possibility of discovering planets in habitable zones of solar systems.